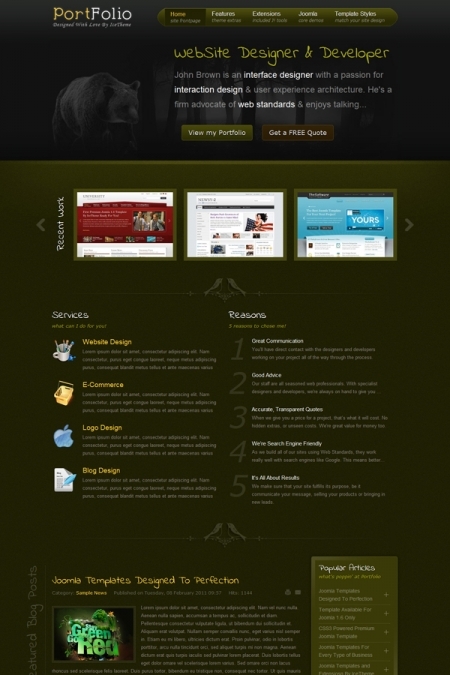 IT Portfolio - a unique pattern from the studio IceTheme, designed specifically to create a portfolio of sites, which will be presented to demonstrate any product. This template is designed to the quality of the smallest details, is very functional and stylish contains 6 predefined styles that can distinguish your site from the crowd thanks to its unique appearance. Flexible modular design contains a large number of positions for modules that provide flexible and occupancy of all elements on the site. The template contains a new and powerful module IceMegaMenu for easy navigation, as well as all additional extensions that improve functionality. Full support for mobile devices and fast loading of pages, a huge list of features complement the template.